Step into the extraordinary archipelago Charles Darwin called “a little world within itself,” and surround yourself with swimming-basking-flying examples of perfect adaptation. Feel the thrill of encountering flora and fauna that famously inspired Darwin—and generations of nature lovers after him. 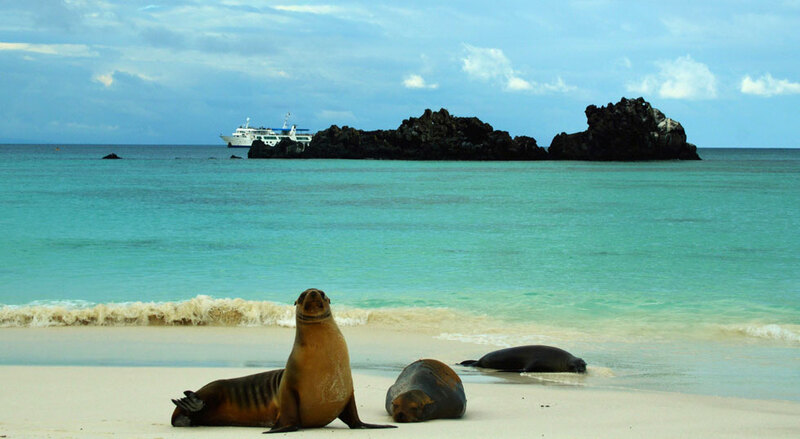 Undiscovered by Europeans until the 16th century, the Galápagos Islands are central to modern scientific and evolutionary history. In a place where human presence is relatively minimal, you can observe and photograph remarkable species up close, including boobies, turtles, and sea lions. *Professional Travel Services (PTS) can assist in making air reservations and provide travel insurance upon request. PTS can be reached at 855.828.0776. Orbridge, our travel partner, strongly recommends that you purchase travel and cancellation insurance to protect your investment in the event of unexpected or unforeseen circumstances. In addition, we recommend that you consider obtaining a policy that will cover some or all losses associated with damage or loss of luggage or personal effects. If you do not have travel and cancellation insurance and are interested in purchasing it, please contact PTS immediately after signing up for the trip. 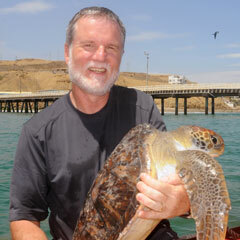 Dr. Scott Eckert has been active for nearly three decades in the field of pelagic marine vertebrate research and conservation, focusing largely on sea turtles. He is world-renowned for his expertise on leatherback turtles and the important role these wide-ranging oceanic reptiles play in the marine environment. Scott pioneered the use of microelectronics on sea turtles, was the first to successfully use satellite telemetry to study the long-term movements and behaviors of leatherbacks and whale sharks, and was also the first to connect the collapse of major sea turtle nesting aggregations to distant commercial fishing activity. His current research focuses on the oceanic behavior and ecology of the leatherback sea turtle from numerous field sites in the U.S. and the Caribbean. Scott joined the Principia College faculty in 2010. Chris Young is an assistant professor of philosophy at Principia College. His areas of speciality include ancient Greek and contemporary European philosophy. He joined the Principia College faculty in 2006. 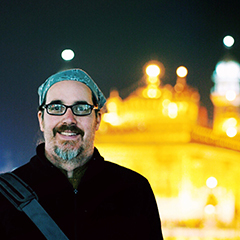 While at Principia, Chris has led successful abroad programs to Nepal, Greece, and Italy.